If you've got a big event coming up and you're looking for new faces, order the Red Poster in advance. This versatile design features a bright cardinal red top, with highlights across a light background on the bottom. Use this template for community gatherings, high school sports, benefits, and a variety of other celebrations. Measures 11.46" by 17.18" appx. 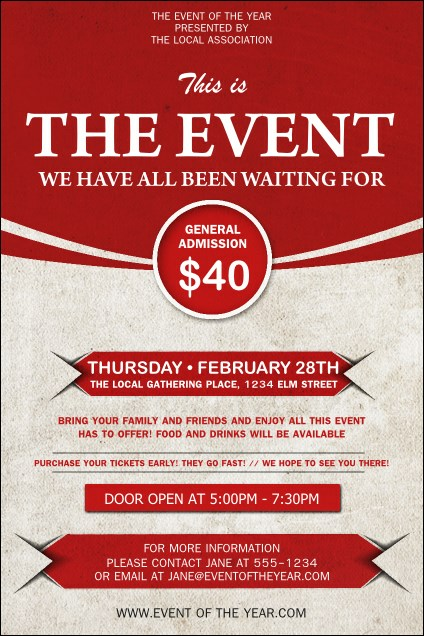 Raise awareness of all your events with the right design from TicketPrinting.com.